In 2017, we saw Josh Creel win the inaugural Cooper Communities NW Arkansas Classic. His win earned him $20,000. Fast forward to 2018 and we have crowned a new champion – Brandon McIver of Billings Montana. 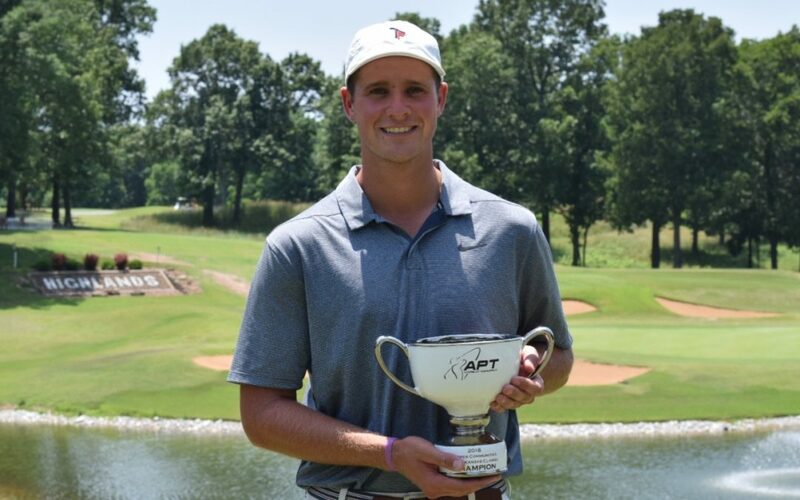 Brandon bested a strong field of veterans in route to his three-shot victory over Derek Oland of Plano Texas. Brandon earned $25,000 for his first win as a professional and moved him to second on the 2018 Official Money List. 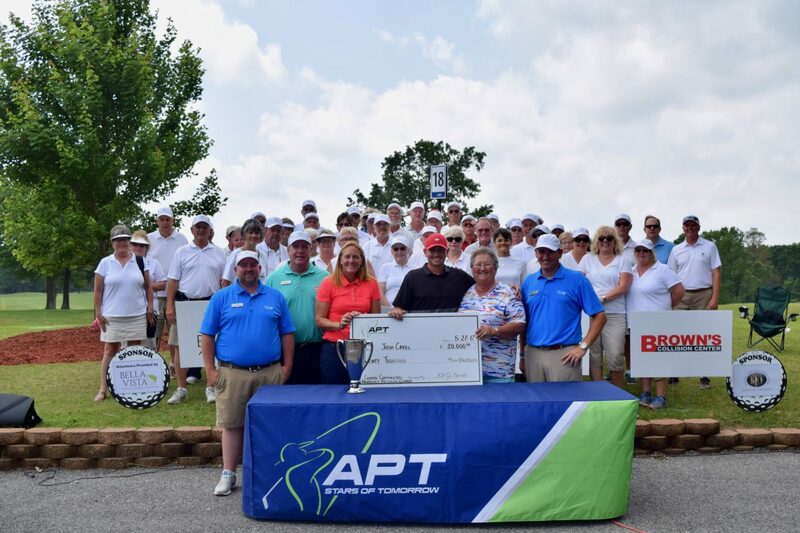 In his awards ceremony speech, Brandon thanked the sponsors and the hundreds of volunteers.APT president Gary DeSerrano elaborated on the tournament support, “Each year we have several events that go above and beyond to make the pros feel special. 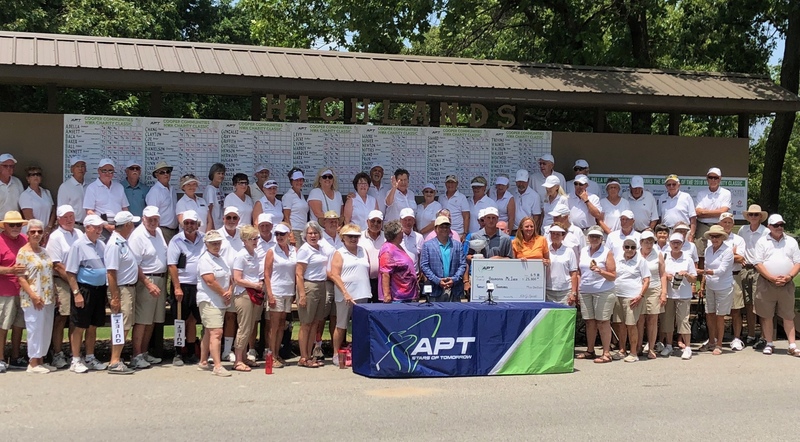 The Cooper Communities NWA Charity Classic has one of the largest first prizes on tour and certainly has the best volunteers.” Over 250 volunteers helped the pros navigate the tough Highlands course. The APT can’t wait to see what the Cooper Communities NWA Charity Classic has in store for 2019!